And yes, it does seem backwards to review these docs after your offer has been accepted, but that’s how the process works! In DC, MD and VA, you have three days to review these documents and can cancel a contract without cause if necessary. 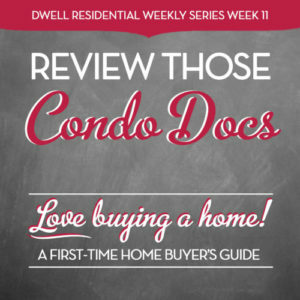 If it’s a new construction property or the first resale of a condo, you have 15 days to review the documents. Let’s go over some of these below and point out what you should focus on during your review. These docs will tell you if there are enough reserves. A reserve fund (or savings account) is used for major repairs or improvements to the building. Projects can include new windows or a roof, for example. A condo needs to build up reserves for future repairs so a percentage of your monthly fees should be deposited into this fund. Also make sure you see how that money is invested. A good rule of thumb is at least 10 percent of the condo budget should be going to the reserve account. This also is also what lenders require before they will give a loan for a condo unit. Your monthly fees are what fund most of the operating budget. Experts say about two-thirds of the operating budget should be used toward expenses. See how your condo fees are allotted each month for employee paychecks, utilities, trash pick-up, etc. Remember, somebody has to pay for those hallway light bulbs! Plus, if your condo has a 24-hour front desk, swimming pool, elevators, full-time engineer on site … these expenses add up and so will your fees. Keep in mind that your condo association shouldn’t be dipping into the reserve fund for basic maintenance like trash removal, recreational facilities, common-area landscaping, etc. That’s a big warning sign! 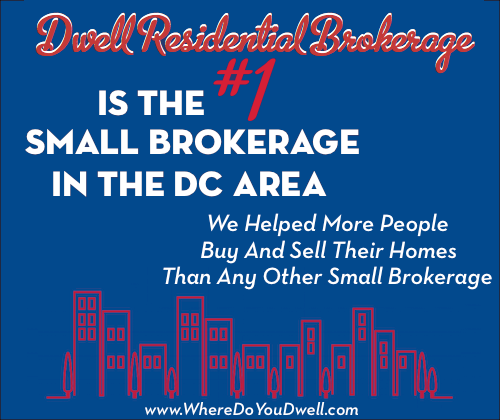 It’s important to know what percentage of unit owners are delinquent on their monthly fees. If more than 15% are more than 30 days delinquent, Fannie Mae may not approve your mortgage. Plus, if too many units go into foreclosure, the association could go into a budget shortfall, which could mean a special assessment is issued. You want to check these out to see if you will be able to live by the rules and regulations of your condo community. Remember, you’re living with many other people, and there will be certain expectations and restrictions. Do these suit your lifestyle? These rules can vary widely from community to community. In general, these documents could specify a range of items, including its pet policy, whether you need to have carpeting, can you install hardwood floors, or if you can rent out your condo at any time. Also, review any grandfather clauses since you might not have the same “rules” as an earlier buyer. We’re heading into the final weeks of our Love Buying a Home series and also for your final steps to buying a home. You’ll get the nitty-gritty in our next article, Almost There … Pre-Closing Details for Buyers. It provides a breakdown of what to expect so you’re ready for the big day.